Two specimens recovered from late Neoproterozoic shallow marine sediments of northern Russia may be the oldest known ascidians. Dated at around 555 Ma, these, together with the younger Ausia from the Nama Group in southwestern Africa, are probably relatives of these invertebrate chordates, which have a deep time origin predicted by molecular studies. Original Russian Text © M.A. Fedonkin, P. Vickers-Rich, B.J. 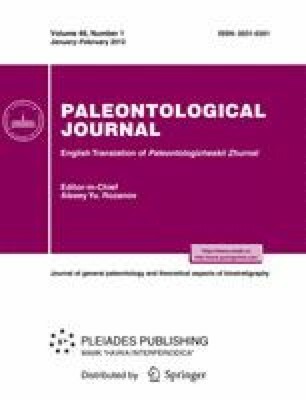 Swalla, P. Trusler, M. Hall, 2012, published in Paleontologicheskii Zhurnal, 2012, No. 1, pp. 3–14. Madin, L. and Fremer, P., Jellyfish-Like Creatures May Play Major Role in Fate of CO2 in the ocean, http://www.physorg.com/news71148175.html (2006).